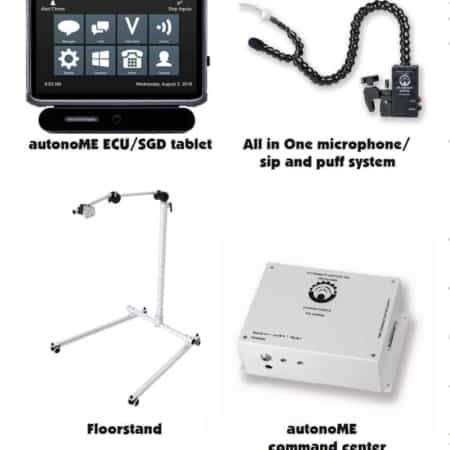 ASI’s autonoME Hospital seamlessly integrates full environmental control, augmentative alternative communication (AAC) and computer access (Windows 10) into one single package. 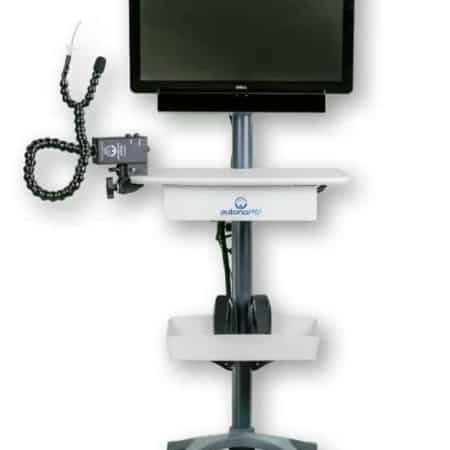 Patients especially enjoy the visual feedback, verbal feedback, single and dual switch scanning and direct selection features. Individuals with use of their hands can operate the autonoME using its capacitive touch screen. The sip and puff switch operates using a straw which allows users to activate the ECU / SGD switch by sipping and puffing to move across and down the screen. Many of the settings are user adjustable, including scan speeds, dwell speeds, volume and self-calibration of eye gaze. Staff can make further customization within the edit mode to make the system more efficient for each patient depending on their particular needs. i.e. bigger fonts, different colors, bigger/smaller buttons. We manufacturer and supply a wall cabinet to accommodate necessary components. This is placed on the headwall where space is available, and our one connecting cable runs from there to the bed using a break away connection. Nursing finds this uncluttered system much more convenient during their patient care. We install our connecting components in the headwall keeping the installation clean and using minimal wiring. 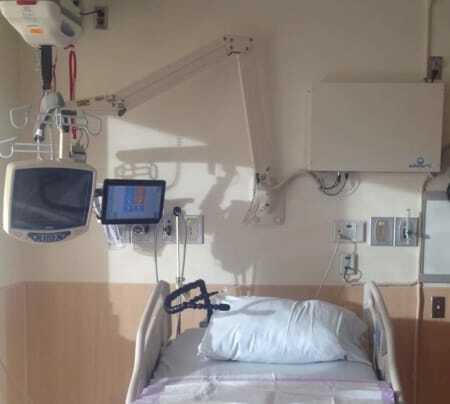 The one cable needed from the headwall to the patient bed is made in a specific manor so nursing and others can easily remove it if necessary. Please contact us for detailed information.